Set your sights on High-Potential leadership and help your organization thriveIn today's tumultuous and rapidly evolving business environment, High-Potential leaders are in high demand. Do you possess the relationship skills, strategic vision, innovation and determination needed to thrive as a high-potential leader in your organization? New York Times bestselling author Ram Charan answers that question and helps you hop on the fast-track to leadership success in this insightful guide.Traditionally, leaders have risen up through the ranks based on their cognitive abilities, analytical skills, thoroughness and even perfectionist tendencies, but as modern businesses have moved to a more digitally-driven model, the criteria for leaders has markedly changed. 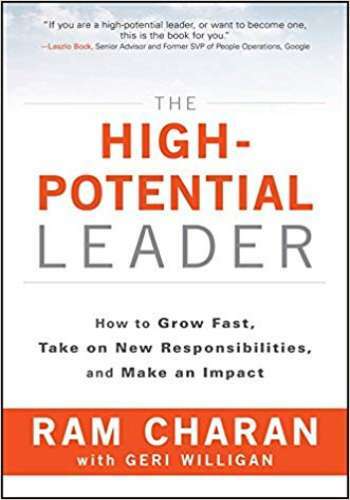 The High-Potential Leader explains the modern business climate while highlighting the critical role relationship building, communication style, engagement and ability to motivate and bring out the best performance in others play in becoming an impactful leader.Whether you're just embarking on your leadership journey or are ready to make the leap to the next leadership level, Charan's real-world lessons and practical advice will help you discover who you are as a leader, chart your path, accelerate your growth and ultimately, become the high-potential leader your organization needs to succeed.